Today’s wine is truly exceptional and very highly recommended. 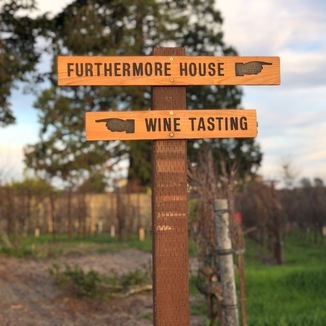 Today’s 92 point Furthermore Wines 2013 La Encantada Vineyard Santa Rita Hills Pinot Noir hails from the same incredible vineyard source that Santa Rita Pinot pioneer, Richard Sanford, selects for his world famous Alma Rosa Pinot Noir. These are the wines that were fawned over in the feature film, Sideways. This is a very fragrant Pinot, with a nose of black cherry, blackberry, kola, birch bark, subtle spice, and just a hint of subtle gunpowder. On the palate, this wine is oh, so juicy - and balanced, with flavors of black cherry juice, blackberry, kola nut, red currant, red licorice, wild mushroom, forest floor and a hint of gunpowder. The Sta. 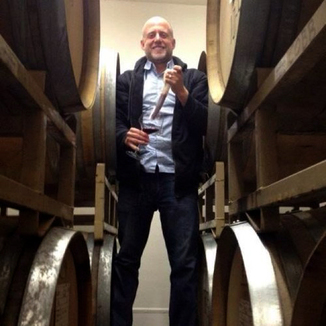 Rita Hills AVA, located within Santa Barbara County and almost entirely in the Santa Ynez Valley was established in 2001 and is considered one of California’s best regions for growing the Burgundian varietals of Pinot Noir and Chardonnay due to its cooler climate. The AVA’s weather is heavily influenced by cool coastal breezes and persistent Pacific fog. Just less than 200 acres in the AVA are under vine. Interestingly, the name of the appellation was changed from Santa Rita Hills to Sta. Rita Hills so as to not conflict with Chilean powerhouse winery Vina Santa Rita. Dark garnet at the translucent heart of the wine, pure ruby gem at the edges. 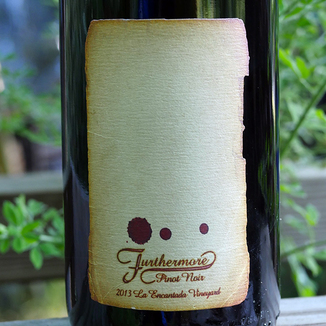 Black cherry, blackberry, kola, birch bark, subtle spice, and just a hint of subtle gunpowder. Black cherry juice, blackberry, kola nut, red currant, red licorice, wild mushroom, forest floor and a hint of gunpowder. Super long and very smooth, as fine tannins develop on the palate throughout. 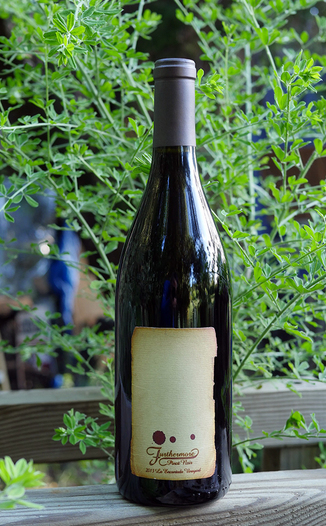 Enjoy this very lovely wine with fennel-garlic pork chops! We’re going to! !